Human Rights Watch (HRW) released a report on February 26, 2015 documenting abuses by the Kurdish security forces against Arab villages in Iraq’s Ninewa province. The group documented cases of limiting movement of Arabs, destroying homes, and warrantless arrests. The press has sporadically reported some of these stories before, but this paper was the most thorough. 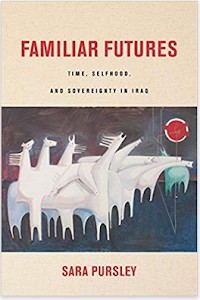 These examples all showed how the Islamic State has caused deep feelings of mistrust between ethnosectarian groups in Iraq that will take years to overcome. 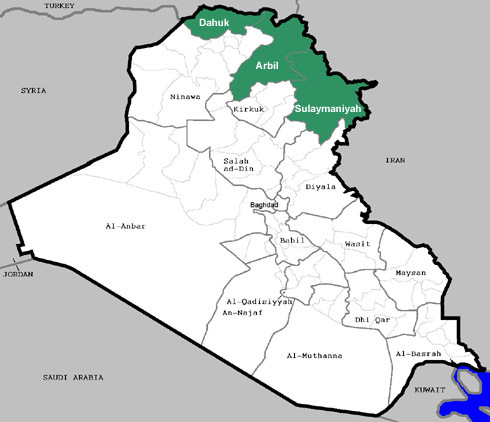 Kurdish forces have limited the freedom of movement of Arabs in Ninewa governorate. After several districts in Ninewa were freed of the Islamic State the peshmerga and Asayesh did not allow displaced Arabs to return to their homes. This happened in places like Makhmour city to the southeast of Mosul. The stated reason was that it was not safe. At the same time, Kurdish citizens were allowed into many of those same areas. In other cases there were four districts where Arabs had not fled during the fighting and they were cordoned off by the Kurdish security forces. This covered roughly 40 villages with around 20,000 people. 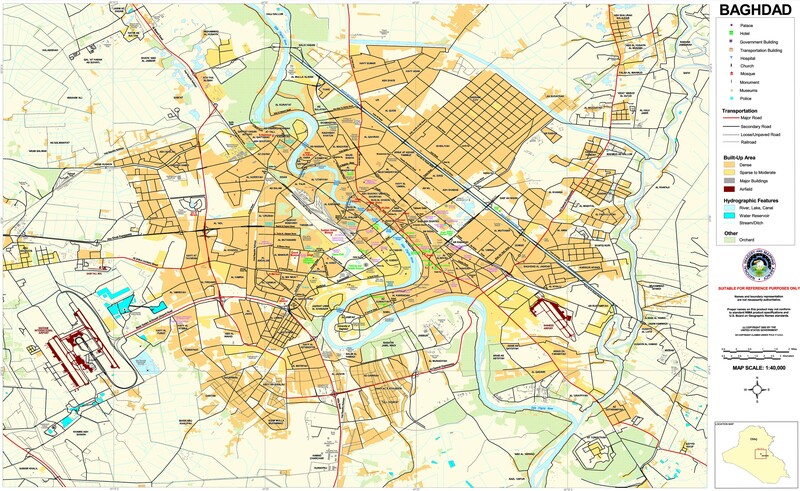 The residents of these towns could not leave and could not go to work if they were outside of these zones. Again Kurds could move in and out of these places. Human Rights Watch met with Kurd officials in December 2014 to question them about these policies. The government representatives said that they could discriminate against Arabs who worked with IS. On another occasion a spokesman for the Peshmerga Ministry said it would take time before Arabs could move freely in Ninewa because there was so much animosity against them because of the insurgency. In both cases it appeared that the Kurdistan Regional Government (KRG) was enforcing collective punishment upon Arabs in these districts. While some locals obviously did welcome the insurgents when they took over the region, it is likely impossible to determine exactly who those people were across such a wide width of territory. Not only that even Arabs who fled in the face of IS are being persecuted as well by not being allowed back to their homes. Finally, if this was due to security concerns then why were Kurds being allowed into and out of these areas? Kurdish forces have been accused of destroying Arab homes. 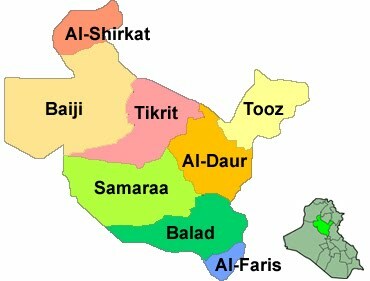 There were various cases of this discovered throughout the Makhmour and Zummar districts, the latter of which is to the northwest of Mosul. Some were burned, some bulldozed, and some blown up. Some had pro-Kurdish and anti-Arab graffiti sprayed painted across them. Local officials, the Asayesh and the Peshmerga Ministry blamed the IS, fighting and Coalition air strikes for the damage. Human Rights Watch did find examples of that such as in Rwala in Makhmour where IS had wrecked houses. In other towns however, such as Qaraj and Gwar suspicions were raised because Arab homes were destroyed while Kurdish ones were untouched. Kurdish and Arab residents said that Kurdish forces destroyed some homes of people they believed worked with IS. In Zummar three Kurds witnessed peshmerga burning and blowing up homes after it recaptured the area from the militants, and in Bardiya houses had been set fire to and bulldozed. This was motivated by the fear that the homes were booby-trapped or because they believed the owners were IS supporters. In Makhmour Kurds told Human Rights Watch that Kurdish civilians burned some Arab homes for the same reason. There was no telling whether any of these homes actually belonged to IS backers or not. Rather it showed the deep seated desire for revenge that the group has generated in the forces fighting it. Both the peshmerga and civilians wanted to strike back at the group and killing its fighters was not enough. They wanted to expel anyone they suspected of being associated with the group as well, and destroying their homes was the best way to achieve that. Human Rights Watch found cases of warrantless arrests and the abuse of prisoners. In five villages of Makhmour 70 Arabs had been taken away from August 2014 to January 2015 by the Kurdish security forces. By the end of January 2015 63 of them were still being detained with no charges being filed against them. They were also not being allowed to talk with their families. There were fears that they might be mistreated as well. Human Rights Watch found seven videos posted from June to December 2014 that appeared to show Peshmerga and Asayesh members abusing captives such as using electric shock and threats. Other human rights groups have documented torture, beatings, warrantless arrests and prisoners being held incommunicado before by the KRG. Kurdistan like the rest of Iraq has a flawed justice system that lacks due process, and has a long history of abuse. Human Rights Watch was not the first to note these types of actions by the Kurds. There have been several news stories on the same topics in Ninewa and other provinces, but they have not been as comprehensive. For example, Amnesty International’s Donatella Rovera went to Barzanke, Ninewa in the winter of 2014, and found all the houses destroyed there. Some of that was done by IS, but the peshmerga might have been involved as well. Some local Kurds said they wrecked houses because they believed they belonged to IS supporters, and stated that they didn’t want any Arabs back either. In December, a commander from the Khorasani Brigade accused peshmerga of bulldozing Arab homes in Diyala’s Jalawla to prevent them from returning. Niqash, Al Mada and Al Monitor reported similar stories in Jalawla and Ninewa. Again, the main motivation for these incidents was revenge against people accused of supporting the Islamic State. 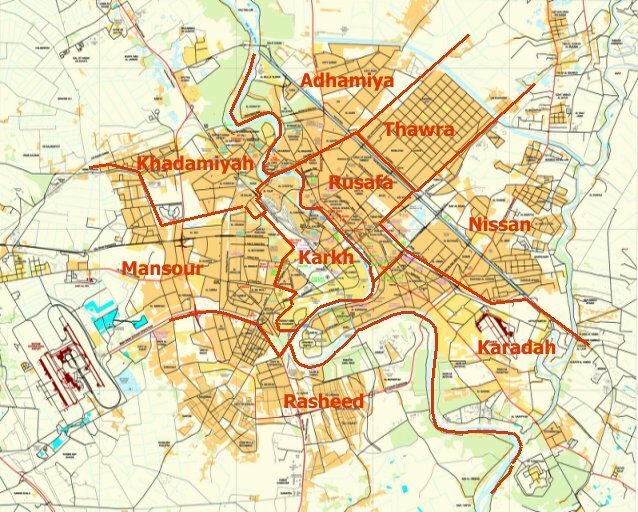 The need for security and the desire for retribution appeared to drive most of the Kurdish actions in Ninewa, but there was another issue at play as well. First, the Kurds did need to make sure the areas they had re-captured were safe. Precautionary measures needed to be taken to protect against booby trapped houses and sleeper cells hiding amongst the displaced as these have both been tactics employed by the Islamic State. Then again, the thirst for revenge and the mistrust of Arabs in general were also major factors. 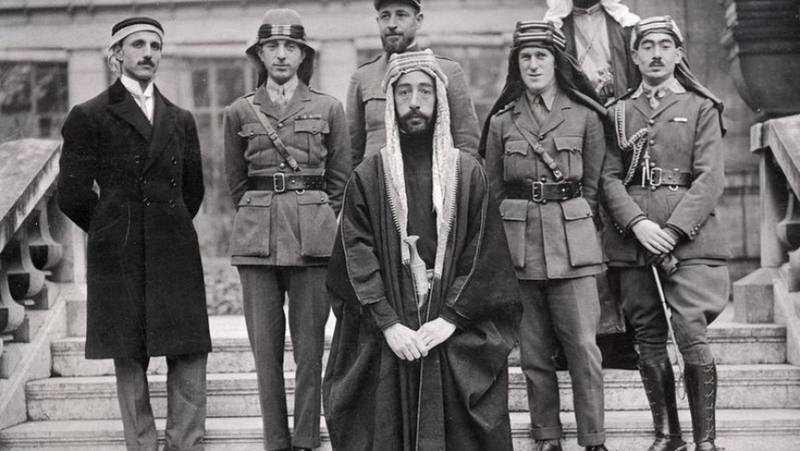 Many people were accused of being IS supporters, but how much of that was based upon real evidence of simply lumping all Arabs together as being pro-insurgent? 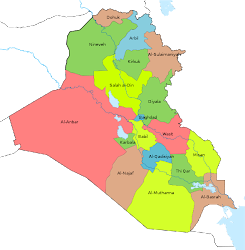 Finally, the Kurdistan Regional Government (KRG) would like to annex these areas in Ninewa, and pushing out Arabs from some of these regions would serve that purpose. 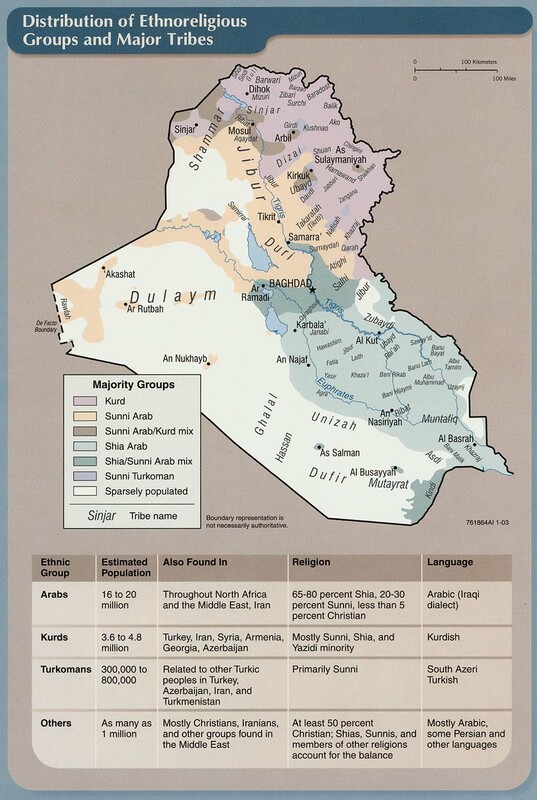 The KRG has claimed many of these areas were cleared of Kurds by Saddam Hussein and then Arabized by the government. Having Arabs leave would ensure the Kurdishness of these disputed territories. Whatever the case may be the demographics of many of these villages in Ninewa are being changed in the aftermath of the Islamic State. 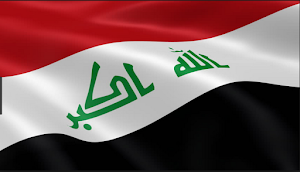 The group has caused such deep divisions it might take a generation to overcome all the damage it has done to Iraqi society.